Today the UK celebrated a milestone in the development of ultra-secure quantum networks with the opening of the world’s first commercial-grade quantum test network link between the BT Labs in Suffolk and the Cambridge node of the UK’s new Quantum Network. The advent of quantum computing will offer huge increases in computing power and capabilities, but in the wrong hands it could also be used to render many of our security encryption measures obsolete. In order to both provide and secure future communications, government and industry are working collaboratively on a range of new technologies, including Quantum Key Distribution (QKD). The link forms part of the UK Quantum Network (UKQN) being built by the Quantum Communications Hub, a collaboration between research and industry, supported by the UK’s National Quantum Technologies Programme. 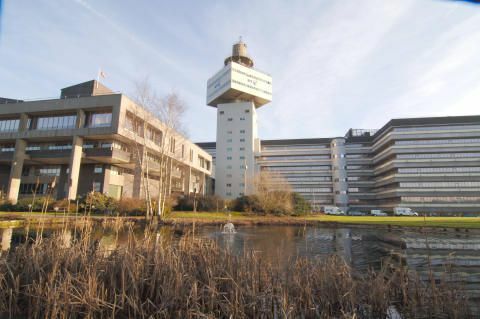 The new connection stretches from BT’s Adastral Park research campus near Ipswich in the East of England, to Cambridge. The wider UKQN network then extends onward over the National Dark Fibre Infrastructure Service to Bristol in the South-West. The quantum-secured link directly connects not only the research facilities of the BT Labs and the University of Cambridge, but also the high-tech industry clusters at each end: the Cambridge Science Park and Innovation Martlesham near Ipswich. This opens the door to a huge range of trial projects focused on quantum secure network technologies and services with potential for exploitation by industry. The network was built by the core partners of the Quantum Communications Hub – BT, and the universities of Cambridge and York. Support for the development was provided by ID Quantique and ADVA, who supplied the QKD systems and optical transmission equipment, and the system-specific expertise required to integrate it. Intended to stimulate and support the commercial exploitation of quantum research by UK industry, UKQNtel is a clear embodiment of the collaboration between research and industry that is central to the UK’s National Quantum Technologies Programme. The link is co-funded through the Quantum Communications Hub by the Engineering and Physical Sciences Research Council and BT, and built by academic and research partners. Tim Spiller, Director, Quantum Communications Hub, said: "This new network represents a major step forward for the UK National Quantum Technologies Programme, providing a direct link between research and industry, and an opportunity to develop new applications and services."